The 1800a Printer Applicator is a thermal transfer labeler for entry level, low cost applications used to print and apply pressure sensitive labels to various products. 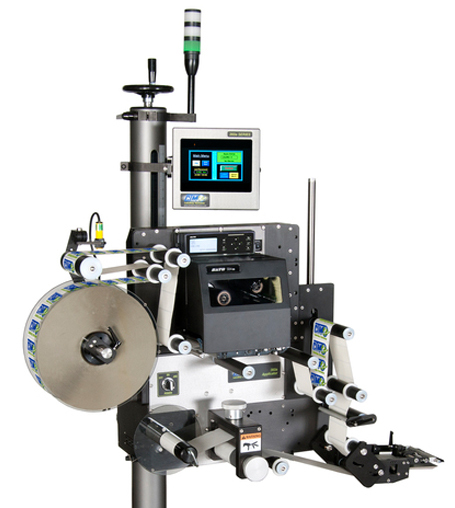 A Sato Lt408 print engine is integrated into an applicator to form a self-contained unit to print variable data.Assembled with right or left hand configurations, the unit can be mounted in various positions to apply labels to the tops, sides or bottoms of a multitude of products with its proven tamp-blow application.Small and large labels up to 4.5″ wide can be accommodated with its 203 dpi print resolution, built-in bar codes including 2-D and and alpha-numeric fonts. 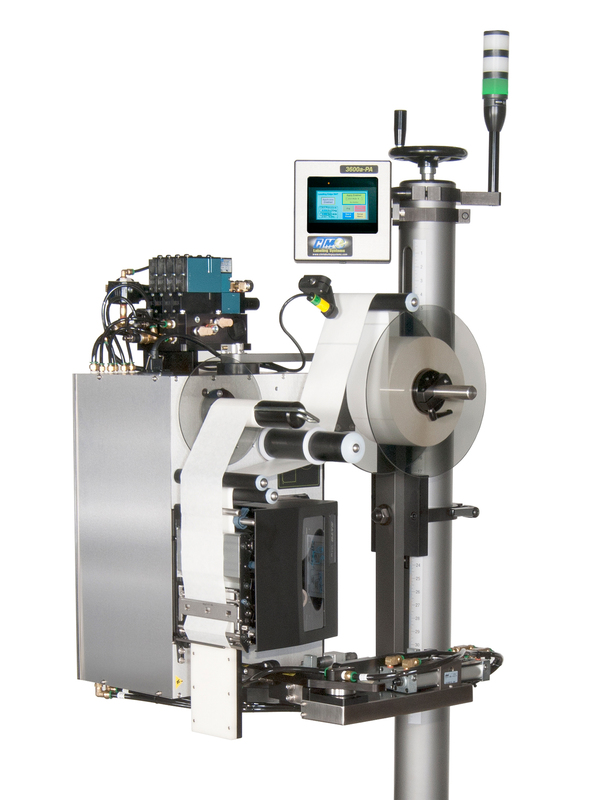 Print speeds are programmable from 2″ to 6″ per second.Label Size Range for the Sato is 1.12″ wide x 0.6″ long minimum to 4.5″ wide x 10″ long maximum. 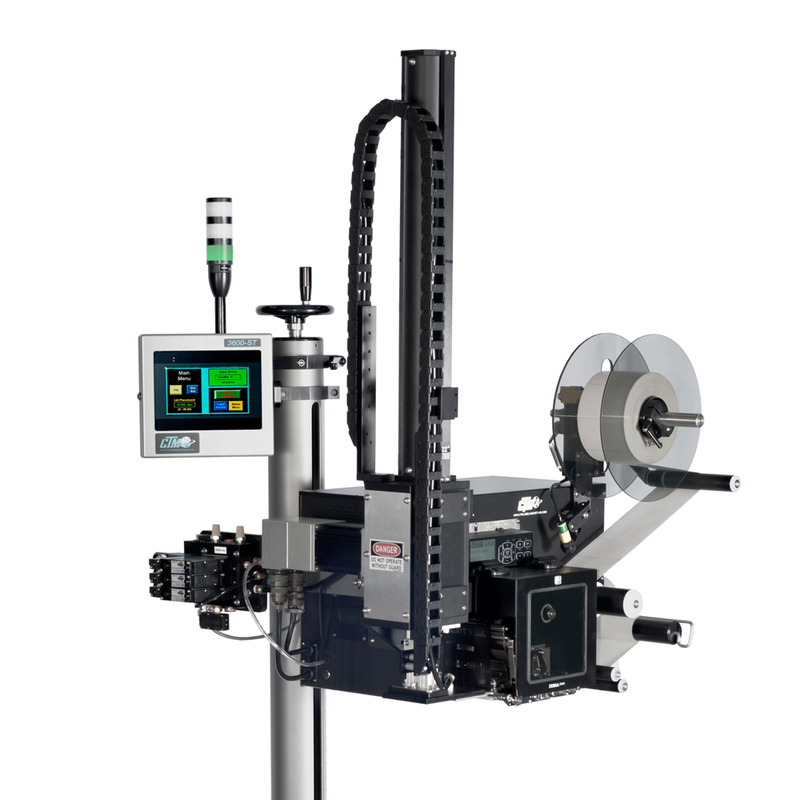 The 1800a plc control with user-friendly display interface offers quick access to set-up selection for application operating parameters. This feature can also be accessed by remote input.Various onboard I/O signals are pre-wired to an external connector; optional features may be added in the field with minimum investment.Print capabilities include fonts of various sizes and styles with independent height and width expansion; includes OCR A/B.Linear Bar Codes include EAN 8/13, Code 39, Code 93, UPC A/E (with extensions), Code 128, 2 of 5, Matrix 2 of 5, CODABAR, POSTNET, MSI and Bookland.2-D Codes include DataMatrix, PDF417, Maxicode, QR Code, VeriCode and Composite Technology. 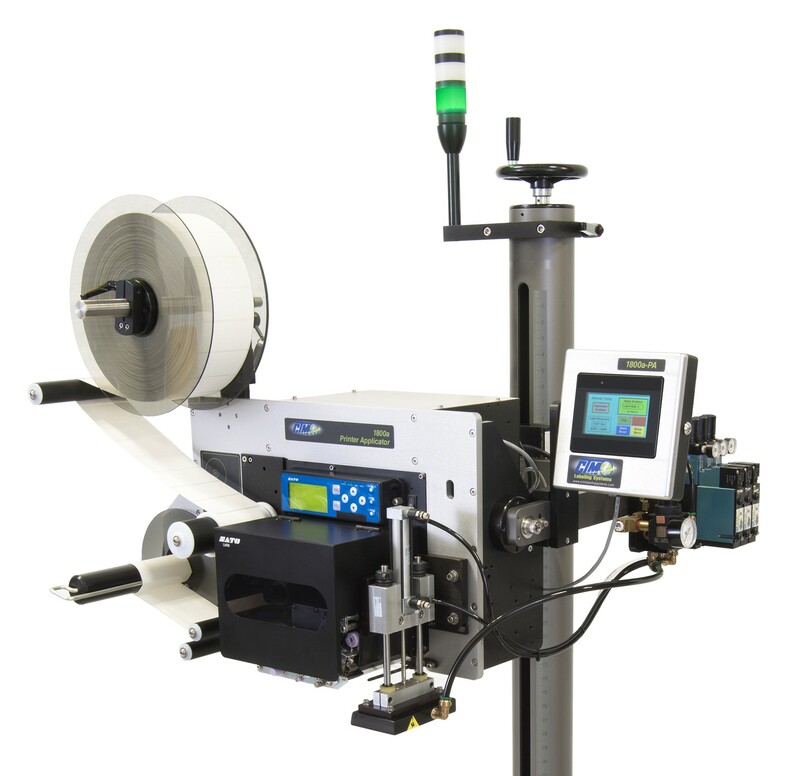 The Graphics feature supports user defined fonts and graphics including custom logos.Labeling Speed is dependent upon label size, print speed and application type.Standard Machine Features include Heavy Duty Construction, Tamp Blow Applicator, External Valves and Controls, Operator Keypad & Display for Sato and application control, 12″ O.D. 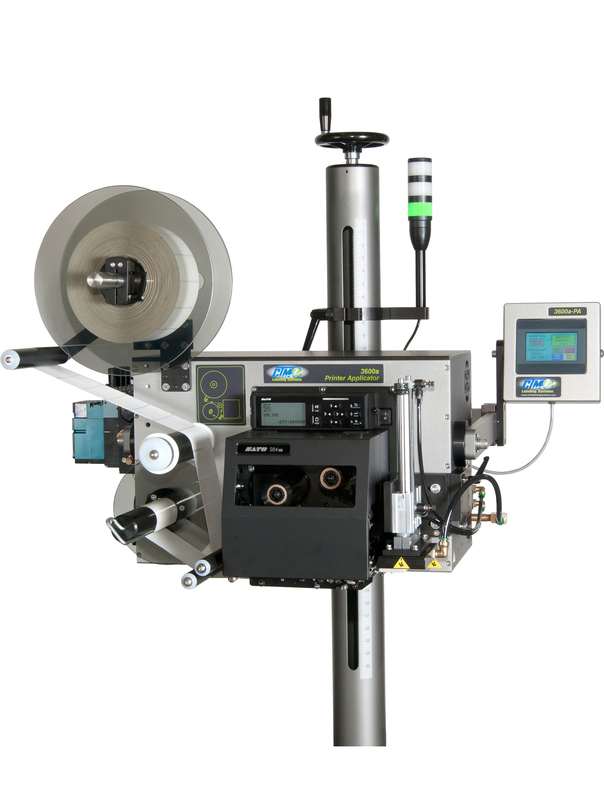 Label Roll, I/O and Communication Port Connections.Optional Features include Low Label/Low Ribbon, Out of Label/Out of Ribbon, End of Web, Red, Amber and Green “Ready” Stack Lights.